Despite not knowing the history of hypnosis, most people have an opinion one way or the other. And this is without even having (or at least recognising) their own direct experience! To understand why, its perhaps interesting to briefly look at the history of hypnosis, and the socio-political context in which hypnosis developed. An unfortunate majority still associate hypnosis with “dancing like a chicken” and ‘wishy-washy’ therapies despite the hard evidence of its effects and benefits. The wave of public opinion is a strong one, being based on centuries old ignorance, but the tide is finally going out. Many of the conflicts surrounding hypnosis revolve around what it exactly is. This is largely fuelled by scientific communities who value objective truth over any positive benefits. The term ‘hypnosis’ was coined by a Scottish surgeon called James Braid in 1853, after the Greek word for sleep (hypnos). This didn’t help, as hypnosis really has nothing to do with sleep. Braid even realised this, but it was too late to change the name. Strangely, the word ‘hypnosis’ has remained a singular umbrella term, with the only deriatives loosely describing variations (e.g. 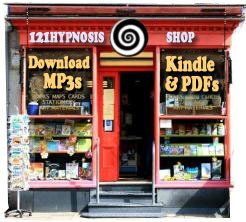 deep hypnosis, light hypnosis, waking hypnosis, even though they overlap hugely). People are still unsure as to whether hypnosis is a state, a process, a mechanism or a phenomenon. Is it pure influence? The developers of NLP even fell out over whether hypnosis was everything, or nothing. Without a simple, easy ‘thing’ to cling to, study, and deconstruct, science was at a loss, and frustratingly scratched its head whilst surgeons began to perform major surgery without anaesthetic or pain. But the history of hypnosis is peppered with a striking incompetency and lack of flexibility. This is found particularly (still to this day) among scientists trying to study and measure depths of hypnosis, and even Freud gave up on it because he couldn’t do it properly (huge quantities of cocaine probably didn’t help). The ‘get the mad people out of here’ state health policy of Victorian England was not enthusiastic towards psychotherapy of any nature, but even at this point hypnosis was only being used by a daring few for pain relief. Shellshock from World War One created a sudden high demand for rapid relief of psychological neuroses, and this was the first time hypnotherapy began to flourish. John Watkins’ book Hypnotherapy of War Neuroses (1949) was a milestone in hypnosis literature, and went on to be a big influence in later hypnotherapy (I have a signed copy, guarded in a room full of lasers). The development of NLP in the 70’s took hypnotic acuity to the next level, inspiring a greater degree of awareness and flexibility in hypnosis work. Whilst hypnotherapy has blown into a commercial industry, it’s position within a therapeutic and medical context is still very limited, mostly to habit and weight control. Following the great successes of hypnotherapy, the medical community and biological determinists were rightly threatened. Suddenly, it wasn’t just about controlled science, drugs and shock treatment. The mind was being recognised as something in itself, that was influencing the body in many different ways. The rift continues in its different forms as the history of hypnosis evolves today, with medical communities both being often ignorant and hostile towards hypnosis, as well as trying to claim ownership of it (just in case its all true). Clearly, a medical practitioner who dabbles in hypnosis as a secondary approach will not be as thorough or experienced as a practitioner who studies and practices hypnosis as a primary discipline. The whole argument presupposes, and hides behind, the false idea that qualifications equal truth, integrity and ‘authority’. Really, the only truth is in the results, but that is the last place a sceptic will want to look. A distrust has began to develop towards state health care which has arisen from (amongst other things) political mis-management, reports of incompetency horror stories and the lack of flexibility in dealing with psychology. Drugs are offered like biscuits at a tea party to anyone who hints at psychological issues. The rapid evolution of technology and communication has also had knock-on effects to mental wellbeing. Whilst natural human community groups have reduced, the economic world of employment, financial and service industries, politics, property markets and consumerism has become so insecure, uncertain and fear-ridden that people are less in control of their lives than ever. One can only look inwards with an open mind in such situations, to make sense of themselves. It is not surprising that depression and low self-esteem are on the increase. The strangely compelling curiosity throughout the history of hypnosis has been successfully channelled by magicians and entertainers since its earliest recognition. The two main messages that have been projected are “look at this wonderful thing of hypnosis” and “see how ridiculous and undermined it can make you look”. It’s unfortunate that one message couldn’t be given without the other. Tacky stage hypnotists abound, who take great delight in dominating and ridiculing a select few from an audience of many. Even Paul McKenna with his successful TV shows in the nineties didn’t take the opportunity (until he stopped doing stage hypnosis) to say “but look how interesting it could be, if used in a constructive way”, and resorted to enjoying the sound of his own made-up ‘positive’ voice on GMTV. More recently Derren Brown has mixed it all up with magic, misdirection and showmanship to delight UK audiences in a most unnerving, but utterly fascinating way. Challenging belief systems, illustrating how automatic our behaviours really are and how easily influenced we can be has sent out some subtle but hard hitting wake up calls. Whilst demand for alternative therapy increases, the results and benefits of hypnosis and hypnotherapy will continue to be known and appreciated. People will start realising more and more that their own minds need more attention than their computers, cars or hair. Hypnosis awareness is likely to spread into other industries more and more, particularly education, business and medicine. As the business world continues to be highly competitive and technologically advanced, intuition, creativity and emotional intelligence are paramount. When people become bored hopping through digital channels or configuring their iPods, human potential could indeed be the next big thing. And so the history of hypnosis is not over by any stretch of the imagination (hypnotised or not).